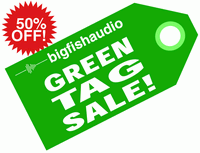 Big Fish Audio has announced the Green Tag Sale, a time limited offer on selected products. Save 50% off selected top-selling Big Fish Audio titles. Now through March 31st only! 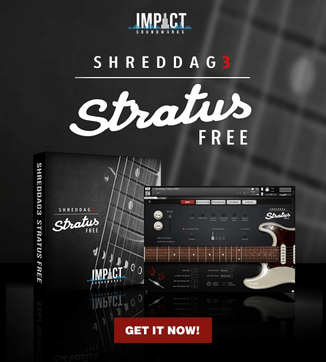 Off The Hook Guitars – 40 live recorded guitar kits for Hip Hop, Pop and RnB. Nashville Sessions – Authentic Nashville sounds covering traditional and modern country. Brush Artistry – Brush drum loops, fills, endings and sounds. Ghetto Metal – Giant synths, grinding guitars, brutal drums, the urge to just go nuts. Cruise Control: Downtempo Hip Hop – Slow and steady downtempo hip hop…. Acid Jazz City 2 – Retro and free Jazz styles infused with a Hip Hop groove. Retro Cool – A collection of funky fresh sounds from the 60’s and 70’s. Urban Contemporary Gospel – Grooves for the soul…. Found Percussion – 6.1 GB of quirky percussion instruments.